As a local, independent bathroom fitting service provider, we don’t simply sell you a product and then send you on your way. Every BASI customer benefits from our dedicated customer care team that’s available 365 days a year. We like to keep things straightforward when it comes to planning your dream bathroom. That’s why we provide one fixed-price quotation so you know exactly how much your project will cost. Following the installation, there are no hidden costs or nasty surprises, so you can get on with enjoying your brand new bathroom. 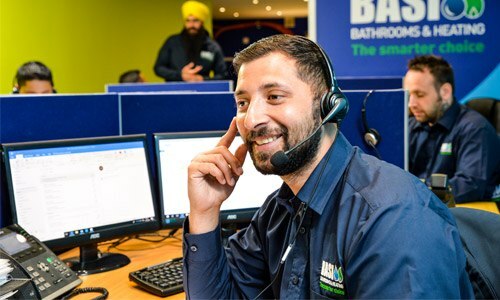 There’s no need to deal with multiple tradespeople or companies – at BASI we take care of everything ourselves. Take a look at our range and select a style that’s right for your home. Our designers will do the rest for you!